“Zero Tolerance” is a bold name for any company. This is a knife company is actually a division of famed Kershaw Knives. 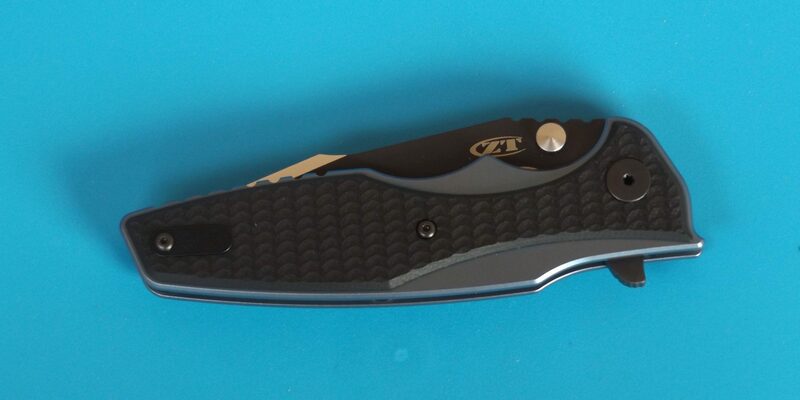 Today we’re looking at their ZT0393 model folder. 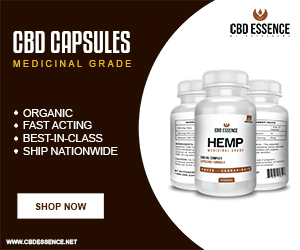 I don’t care who you are, or what you make, when you name your company “Zero Tolerance” the consumers expect nothing less than perfection in your products – all your products. That’s a tough claim to live up to. However, when we’re talking about knives, it is a very bold step to imply that your products are made to perfection, and without flaw. Many years ago, I used to collect – and design – custom knives. I’m no knife maker. I tried my hand at it, and its tough drawing a straight line with a ruler. However, I can make my thoughts come out on a piece of paper, where a knife company or custom knife maker can bring my ideas to fruition. I sold off all my custom knives many years ago, even the ones I designed and had made for me but several custom knife makers. Of course, I regret letting those knives go, that I designed. Today, many custom knife makers make use of CNC machines and other equipment to manufacture their knives – just like the big name knife companies do. In the past, custom knife makers did most of their work free-hand on custom knives. And, many of those knives had some small flaws or defects – you had to look closely to spot them, though. Yet, it didn’t distract from the fact that, your knife was one of a kind, if was made by a custom knife maker. One thing that bothered me back in the day, was that, many knife makers simply couldn’t put a halfway decent edge on their knives – how very odd that was. You paid $600 for a custom knife, and when you got it, it had a tough time slicing through a piece of paper. I guess a lot of people simply collected custom knives, and never used them. Not me! Kershaw Knives have been around a good many years, it was started right here in my home state of Oregon. I’ve toured their plant several times, and with each new visit, I’m amazed at the growth – not only in size, but in the many knives they manufacture there. A lot of folks don’t realize that, Zero Tolerance knives is a division of Kershaw Knives, and all ZT knives are made right here in the USA. The idea behind ZT knives, is that they are designed for rough use, but professionals like the military and law enforcement – the best knives, for the professionals. I like that idea, a lot. 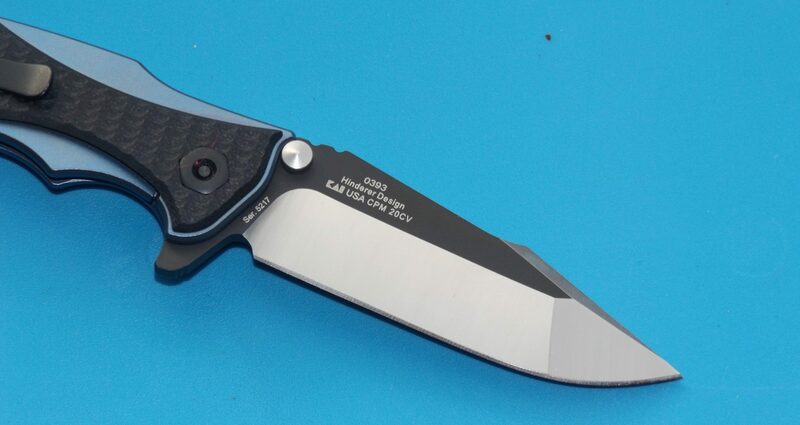 From the git-go, I was privy to the first knives produced by ZT knives, I happened to be at the Kershaw plant, when I was shown some of the models that ZT was going to come out with. I was sworn to secrecy, and I didn’t let anyone know about this new knife line – it wasn’t too long after my visit, I received several of the prototype ZT knives, and was told I could write about them – but had to return the prototype samples – Grrrr! However, when the knives came out on the market, Kershaw made sure I got samples of my own – whew! I couldn’t tell you how many ZT knives I’ve received for testing over the years, but its pretty safe to say that I’ve probably written about almost every model they’ve produced. Of course, with a name and title like “Zero Tolerance” I examined every knife under a magnifying glass – literally – and you know what I’ve found – on every single ZT sample that came into my hands? Zero Tolerance! No imperfections at all, and quite honestly, the ZT knives exceeded what I was paying top dollar for, when I was collecting custom made knives! How does ZT do it? When ZT knives are being made, they are inspected at several steps along the assembly process – under magnifying lights. It is amazing to watch the workers at the Kershaw plant work hand-in-hand, assembling these knives. I’ve seen some of the workers set aside a knife that came into their hands, and asked “why?” Well, they spotted a small imperfection or flaw in the knife that just came from the worker next to them – and for the life of me, I couldn’t spot the flaw, even under magnification. I’ve looked through a bin of “rejects” and couldn’t spot what the problem was. All of the above leads us to the ZT 0393 folder, that was designed by custom knife maker Rick Hinderer. To be sure, Kershaw/ZT uses the talents of many custom knife makers, in the design of their knives, and some are even designed in-house, too. The 0393 has elements from his custom folders, the Maximus and Eklipes and the 0393 features his famous harpoon style blade that he calls a “spanto” blade, that is made out of CPM 20CV. CPM 20CV is one of the newest super stainless steels used by knife makers, and it provides some serious hardness, and corrosion resistance, and it has excellent edge retention. During all of my testing over several weeks, I never once had to touch-up the edge – it came hair-popping sharp out of the box, and stayed that way. The 03093 opens via a flipper on the blade, and the KVT ball-bearings make for a butter-smooth, and effortless way of opening the blade. Nice! 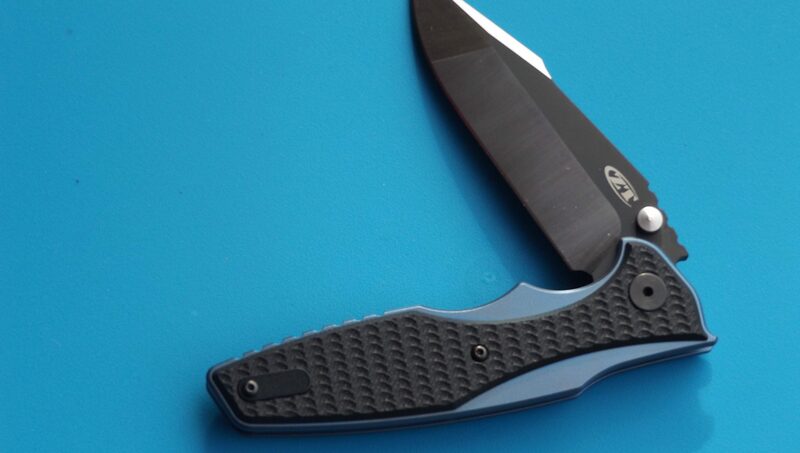 The handle of the 0393 is made out of Titanium, and the handle scales are blue anodized with a machined G10 overlay. It is very classy looking. The frame lock is made out of Titanium, with a hardened steel lockbar insert for add strength. There is also a reversible pocket clip, so the knife an be carried in either front pocket. The blade is 3.5-inches long, but it actually looks longer than that…I like a folder with a blade that is between 3.5 and 4 inches in length. Length closed is 4.75-inches and opened it is 8.25-inches, and weighs in at 5-oz, so its no heavy weight in your pocket. The G10 overlay is machined with a Rick Hinderer custom texture – it just flat out feels great in the hand. It is hard to explain this texturing, but you will have to experience, to fully appreciate it. During my testing, the knife rode in the right front pocket of my cargo pants, and I never noticed it was there – it rode at just the right height. The 0393 was easy to draw, and open, thanks to that flipper and the KVT ball-bearings – super, super smooth opening and closing. The blade locked solid when opened, no worries about it closing on my hand when in use. I always take my knife samples to the gun shop I haunt, the guys there love a good knife, and they all commented on how sweet looking this folder was, and how effortlessly it was to open with the flipper – and fast to open. They also commented on the “strange” looking blade shape, but they all liked it as well. My testing over several weeks consisted of the ever-famous, slicing through thick blackberry vines – no challenge at all for this folder. Cutting open the never ending stream of cardboard boxes delivered from UPS, FedEx and USPS was no chore at all – and some of those boxes are thick – really thick. I also stabbed the blade into thick stacked cardboard, and the knife went up to the handle – the design of the blade was really something and aided in the deep penetration. Cutting rope – all kinds of rope, no problem at all. One test I do every now and then, is to soak some hemp rope in water – wet rope is tough to slice through. But it was no problem for the Hinderer design. Zero Tolerance knives don’t come cheap. However, you are getting custom-quality in these knives, and in many cases, the quality is even better than you’d get from some custom knife makers – I kid you not. The ZT line is designed for professional use. If you are serious about survival on the mean streets, or just want to add a superior folder to your collection, then check out the 0393 – it retails for $300 and is worth every penny of that. I recently spotted them for under $182 on Amazon. I think you’ll really like the look and feel of this folder in your hands.